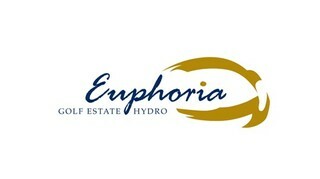 Sign-up and receive Property Email Alerts of Residential Estates in Euphoria Golf Estate, Naboomspruit. Set in the beautiful Waterberg Mountain Range, the Euphoria Golf Estate & Hydro is a mere two hours' drive from Johannesburg and offers the perfect bushveld experience. Proud to boast the first Annika Sorenstam designed Golf Course on the continent, it is further distinguishable by its cableway that links the clubhouse to the immaculate mountain estate and aptly named, Sundowner Deck Restaurant. The clubhouse overlooks the entire course and is perfectly placed at the base of the mountain. The course itself is designed with a stoic commitment to preserving the indigenous fauna and flora of the region; all of which may be enjoyed by mountain bike or through one of the numerous hiking trails. Luxurious houses are par for the course and residents enjoy the privacy that comes with the wide golf corridors that aid even the most novice of golfers. The style of the estate may be distinguished by a prevalence of sandstone (found in the nearby quarry); blended with natural earthly tones and colours. Blessed with a pro shop, spacious change rooms and a halfway house; men are often occupied whilst their partners relax at the reputable hydro or indeed enjoy their own four ball. Conference rooms are often utilized by corporates who are looking for a perfect opportunity to plan for the year, as well as unwind at the end of the day. A security control room, tightly monitored access control and an abundance of wide open spaces are some of the reasons that parents are such big fans of Euphoria; as their children run free and explore this African oasis.